"I have always been very keen to try to sing original music from many countries in the world, not only the classic countries in music like Italy, France, England, Germany and Austria, but also from more exotic countries. This album is a collection of music from around the world that is not necessarily the classic pieces that everybody knows. It gave me tremendous pleasure to be able to sing very different musical styles in many different languages. I hope the audiences will enjoy the CD as much I enjoyed making it." 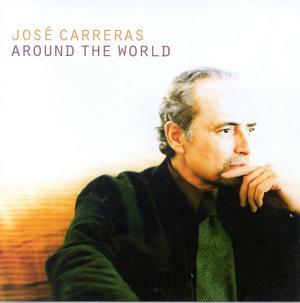 José Carreras sings popular and traditional songs from 16 countries in 11 languages: French, Catalan, Italian, Spanish, Portuguese, Japanese, Korean, Chinese, Maori, English and Polish. The great tenor collaborates on various tracks with the Vienna Symphony Orchestra, the arranger/conductors John Cameron and Christian Kolonovits, singer/songwriter Klaus Meine and the Crouch End (London) Festival Chorus. This album also includes tracks produced by Frank Peterson, the highly acclaimed producer of Sarah Brightman's best-selling CDs.